There is a new addition to our kitchen and I couldn’t be happier! I have wanted one of these babies for the longest time. When CSN Stores contacted me about doing a product review I knew exactly what I would choose. And she works like a dream! My DIL has had a KitchenAid mixer for a while and she uses it constantly especially for cookies and cakes. My grandchildren love to help mommy in the kitchen. Check out CSN before buying a new mixer, luggage or anything for yourself or home. They have thousands of products to choose from and their customer service is one of the best I have ever encountered. Thank you CSN Stores for your generosity! CSN has provided me with this product at no charge in exchange for an honest review. My opinion of CSN and the product is based on my personal experience. WOW! That is one thing that I have always wanted to add to my kitchen too. Love it! What is the first thing you used it for? I would love one of those too! I think you picked the right color Sherry! We just got one of these, Sherry. My hubby makes an Easter "pie" that is a family tradition and he will be using this for the dough. He didn't make it last year because he says it kills his hands to work the dough by hand, so he's going to give this mixer a try. It's totally gorgeous! Do you get to keep it? Sherry, I have had mine for years. I don't bake much, but when I do I know I can count on this mixer. Lucky you to get that from csn. That is great Sherry.. enjoy. I got one last year and am in love with it. That is one of the two items (a good sewing machine) I wish I had bought years ago. Please stop my blog to meet my new shelter pet in need and to enter my fantabulous GIVEAWAY! Looks like you are putting her to good use!! Its always such fun to get a new applicance you are actually excited about and inspires to create all kinds of wonderful conconctions! Stop by my blog..doing a great giveaway…. There is nothing to comapare it too. have fun and come see me soon. I just became your newest follower. Richard at My Old Historic House. I think every home should have one. And if you don't have the cheese grater attachment….get it. You can grate huge amounts of cheese in seconds and kids love to do it. Wow…you are a lucky girl! They are wonderful! Congratulations on that lovely baby! Kitchen-Aid mixers are amazing. I've had mine since 1994 & I love it. Enjoy! Wow, Sherry! 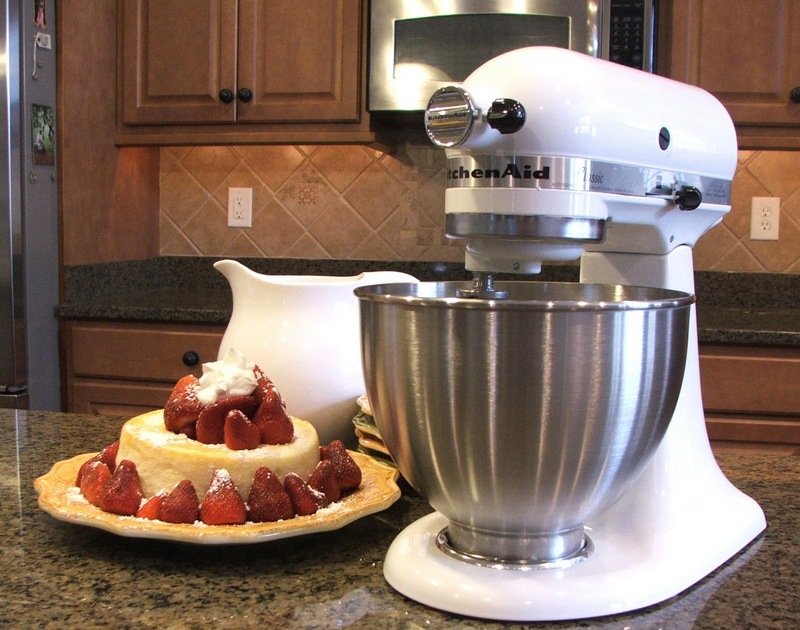 What a beauty is right and, as you know, Kitchen-aid mades the best products. Have a great weekend playing with your new mixer. I have had one for a few years now and just love it! Mine is the same colour too! Have a wonderful weekend Sherry! That is awesome! 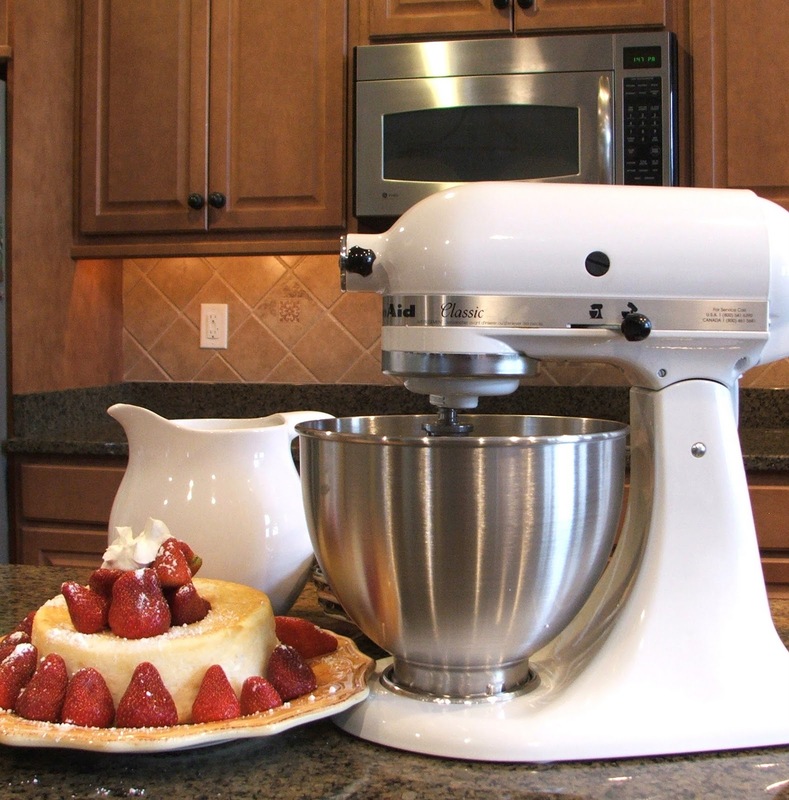 I am fortunate enough to have one of my moms… I say one of them because she did the sweetest thing and would convince my dad that she needed a new mixer for one thing or another, (she baked ALOT) and then she would pass on her old one to one of us girls. I think 3 of us got her old 'hand-me-down' mixers! Lucky us! Mine works like a dream and now when I use it for cookies or such I have a bit of my mom helping me! No wonder it's your new love! Mine is 20 years old and it is now my old love. It just gets better with age! Just because they have been so generous to you, I am heading over there to check out lighting. My husband suprised me with a Kitchen Aid a few years ago! It was very sweet, but I think he had his motives. It has worked beautifully. Since I no longer have a food processor, I rely on it for pie crusts.Enjoy! Congrats! I have a red one – and they just look great in the kitchen too! I love mine, too. Great whipped cream right? I love those KitchenAid mixers. My hubby has one he got from his mom, it's an autumn gold one from the late-60s or early 70s. He's the cook in the house and he pulls it out at least once a week. It's a dynamo for working. Our dream is to one day get a kitchen big enough to keep it on the counter, because it is heavy and awkward to pull in and out of my tiny pantry. Congratulations on your gorgeous new acquisition! CSN is the best! Wow, that is fabulous. I live by mine! Our neighborhood/church group from the neighborhood gets $20 from each person and buys a Kitchenaid for all the young brides. I think that is the most wonderful gift because as they use it their whole lives they will remember all the ladies who love them. And it will last their whole lives! That is so great! Lucky you. It looks great out on your counter!